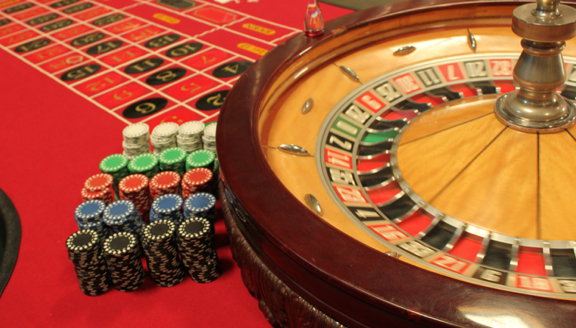 We offer the standard Casino Night Fun like Craps, Black Jack, Texas Hold’em & Roulette featuring our authentic full size Roulette Wheels! 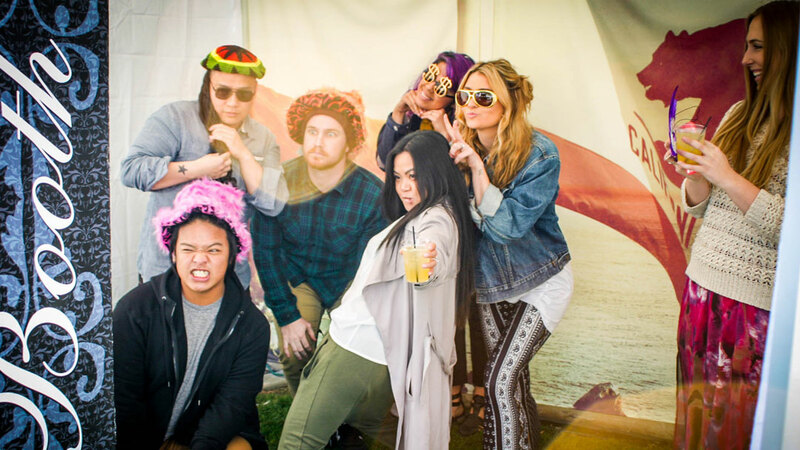 We also offer some really Fun add ons like our Money Booths, Photo Booths and Trivia Table for those timid gamblers! 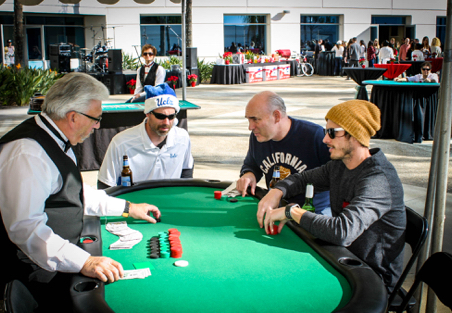 Our Dealers are friendly and willing to teach so Call us today to reserve Casino Night or Poker Tournament for FUN or FUNDraising! 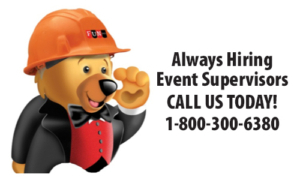 (800) 300 6380. 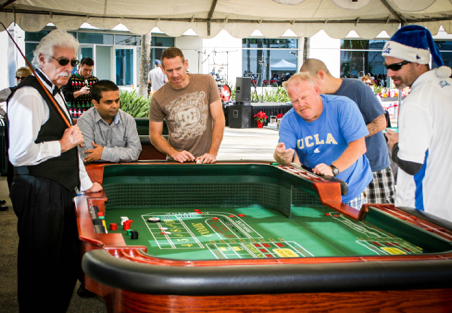 Not only do we offer some of the best games, equipment, and decor but we also have fully trained dealers to help make sure that everybody from a beginner to a casino pro will have a wonderful time that they will never forget. 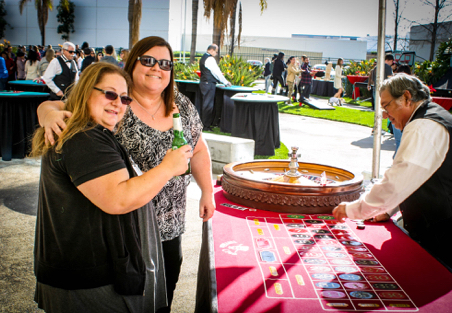 Fun Services is proud to offer casino party options for FUN (click here) as well as FUNDraising (click here). 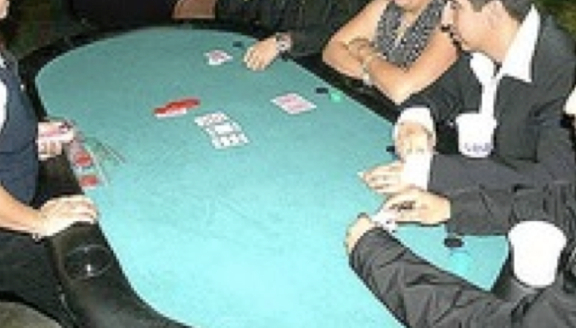 See a Casino Party In action, Click Here. 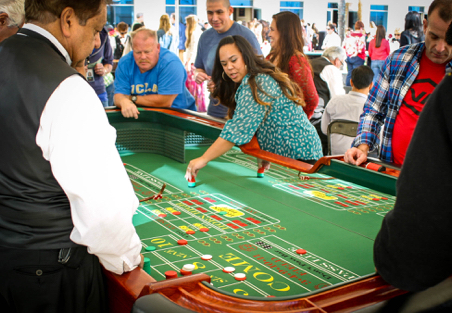 Our craps tables will ensure that your guests feel like they are in the middle of a Las Vegas Casino and is sure to be a hot spot at your next party. 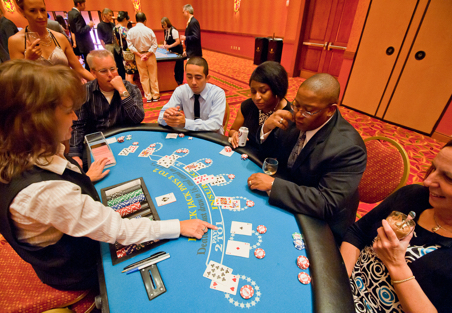 Our full-size black jack tables offer plenty of room for your players, dealer, drinks, chips, and plenty of excitement to keep the players engaged all night. 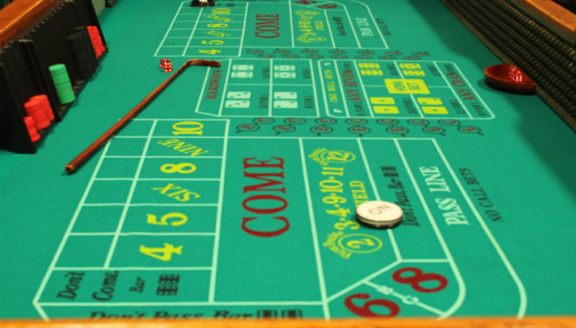 Our roulette tables have a consistent look and feel with those found in real Las Vegas Casinos to give a real roll and play that is just like the real thing. 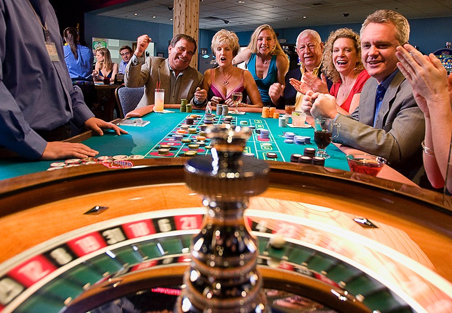 We know how seriously people take their poker and we have spared no expense in making sure that hitting the felt at your party will feel just like a poker room. 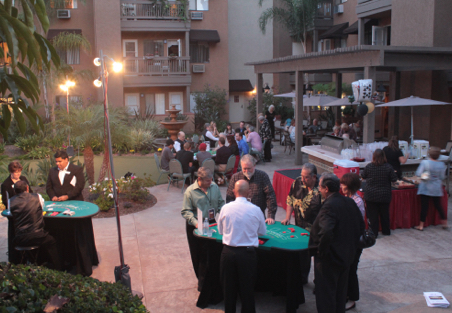 This is always a hit a Poker Nights & Casino Parties. 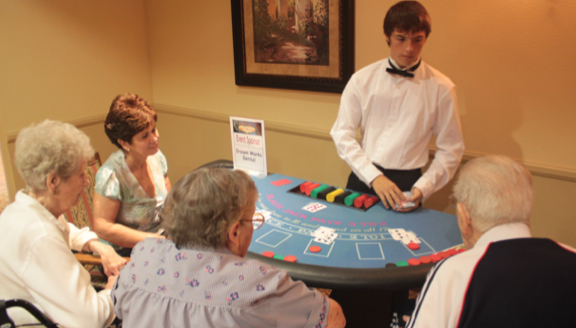 Electrical Requirements: 15 amps, Product Area Needed: 20×20, Number of Blowers Needed: 1, Riders Per Hour: 100. 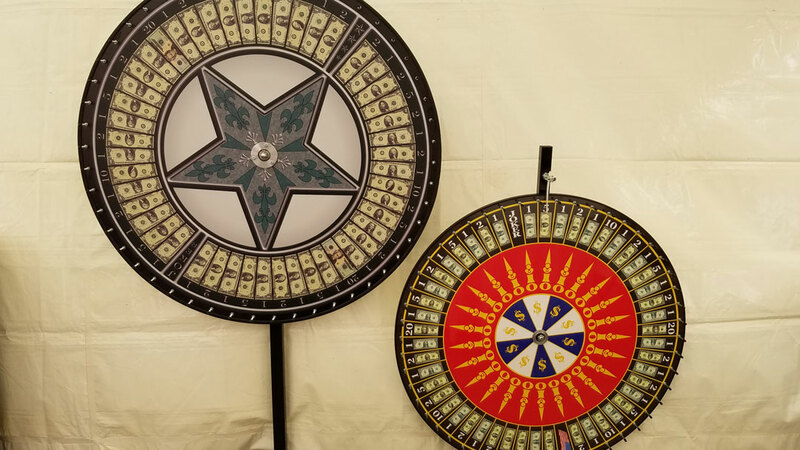 Our beautiful full size Money Wheels are always a big hit. 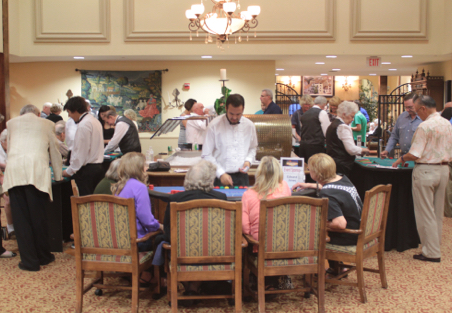 Whether you get our Wheel on a stand or our table top version the sound of the spinning wheel always attracts a crowd. 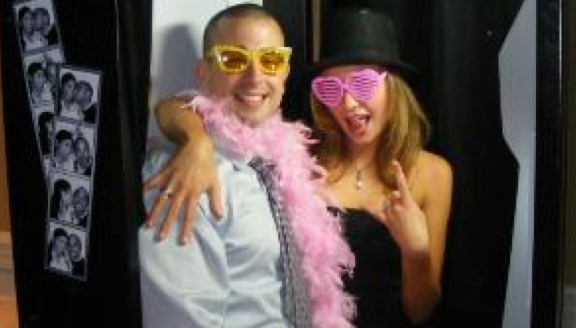 Our photo booths make it easy for individuals and small groups to capture the fun of the evening. 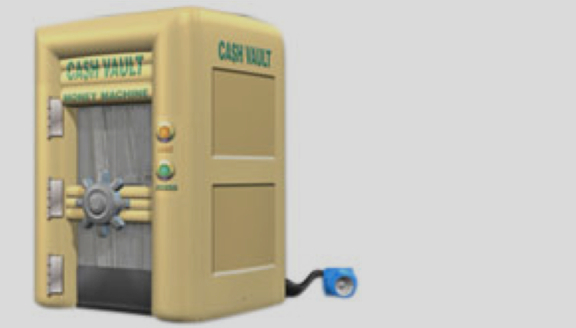 Electrical Requirements: 15 amps, Product Area Needed: 8×8. 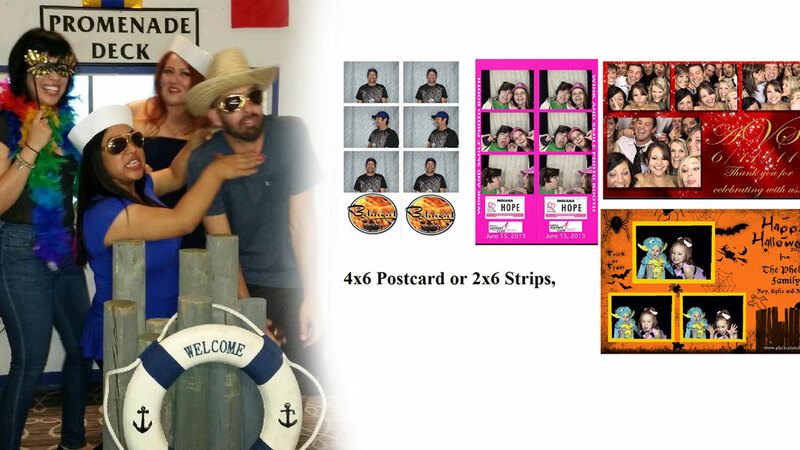 Our “Open” Photo Booths make it easy for small or large groups to capture the fun of the evening. Electrical Requirements: 15 amps, Product Area Needed: 8×8.